Home News Diamond Looking To Help McIlroy Glow At The Ryder Cup. Diamond Looking To Help McIlroy Glow At The Ryder Cup. 7 months ago by Bernie McGuire Comments Off on Diamond Looking To Help McIlroy Glow At The Ryder Cup. Harry Diamond’s first taste of the Ryder Cup was a dozen years ago and the joy from behind the ropes when Europe swept the States aside to win at the K. Club. Now in just over a week, Diamond will be by Rory McIlroy’s side walking the Le National fairways as Europe look to extend a ‘home soil’ dominance to 29-years. For the ‘Best Man’ at McIlroy’s wedding it promises the journey of a golfing lifetime and the Belfast-born caddy can’t wait. “I’m really excited to be heading to what will be my first Ryder Cup caddying for Rory and I can’t wait,” he said. “I went to the K. Club for a day back in 2006 and the atmosphere was something else and nothing like I’ve ever experienced before at a golf tournament. I went there with another friend of mine, so it wasn’t Rory but then we were just lucky enough to even get tickets for the day we went. “It was an awesome and incredible experience. Diamond and McIlroy have been long-time childhood friends first meeting-up at the Holywood Golf Club, and with Diamond also enjoying a winning amateur career. But after McIlroy and long-time caddy, J P Fitzgerald split following the 2017 Open Championship, Diamond has since been on McIlroy’s bag. It’s a job that has taken Diamond around the globe rubbing shoulders with greats of the same such as Jack Nicklaus and Tiger Woods and meeting other sports superstars including tennis giants, Rafa Nadal and Rodger Federer. And being an avid golfer from an early age, it’s no surprise Diamond has been a long-time Ryder Cup fan. “I’ve been watching golf and the Ryder Cup intently since I was started playing golf when I was about 11-years old,” he said. 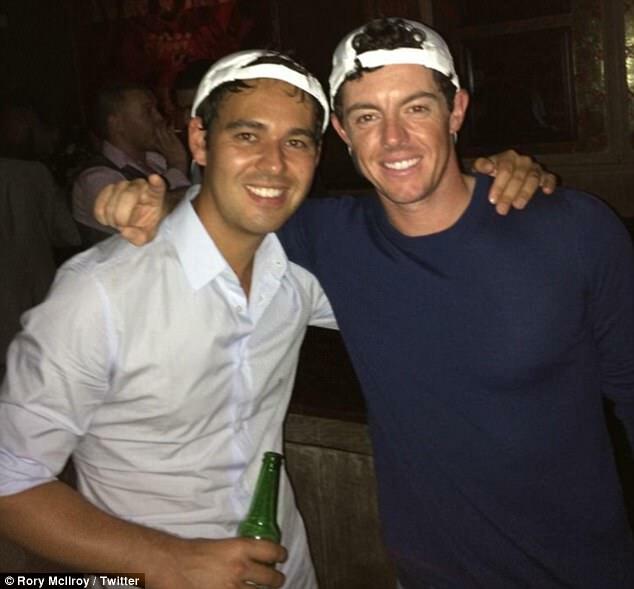 Harry Diamond, and with his arm over the shoulder of Rory McIlroy, soon after McIlroy captured the 2014 Open Championship. “I remember Brookline in 1999, and while it’s not my fondest memory, it is one that stands out when Justin Leonard holed that monster putt against Jose Maria and then ‘that’ reaction from Leonard’s team-mates,” said Diamond. “I know Rory’s played the French Open before at Le National but it will be a first time on the golf course for me and while there is a little part of me that will be nervous, I am sure I will be alright. “The good thing is that I will have plenty of other guys to help me get around the course long before we tee-up. “What I find amazing is the hype surrounding the Ryder Cup and not just now with a week or so go but over the past few months. 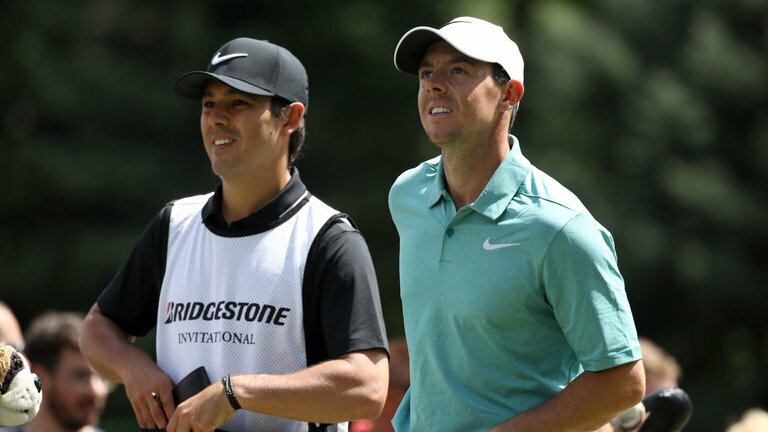 McIlroy and Diamond have this coming week’s Tour Championship in Atlanta before they board a flight with other members of both the US and European Team’s bound for Paris and the 28th September start to competition.